Blogging can be a great way to draw new customers to your business website. But if your blog hasn't been updated in months or all your posts are thinly disguised sales pitches, your blog marketing plan could backfire. A great business blog doesn't sell. Instead, it shows customers why they should do business with you and not your competitors. Here are 50 types of blog posts that can draw new visitors and help build customer relationships. Customer success story. When you receive a great testimonial from a customer, ask for permission to turn it into a post. Use the post to solicit more customer stories. Mention a popular post. If you notice a post by a popular blogger in your niche getting a lot of attention, add your viewpoint and link to the original post. Be sure to let that A-list blogger know about your comment and link. Disagree with a popular opinion. Get traffic by stirring up controversy and taking a contrary position. Riff on the news. How are current events affecting your customers? Run a Google Alert on certain keywords related to your business or industry to find relevant news items to discuss. Compile a link roundup. If you notice several interesting opinions on a topic, you can pull them together into a single post of the best ideas. Play off the familiar. Mention a celebrity or a pop culture touchstone and your readers will instantly relate. Answer the questions everyone is asking. An FAQ post shows you're responsive and saves customers time. Pose your own question. What would you like to know about your customers? Just ask, and let your readers create the content. Talk about trends. You convey authority when you tell how things are evolving in your industry. Discuss future plans. Give readers a sneak peek at what you'll do in the coming year to start generating interest. Review a book. If you've read a book you think customers might like, give it a write-up. Review a product or service. This shouldn't be one of your own products or services or a direct competitor's offering, but rather a related item your customers might want to learn about. Comparison test. Provide even more value by comparing two or more related products or services. Post a video. Create variety with a video post. You can give a sneak preview of a new product or show a promotional event. Make a podcast. Record a quick interview with an expert, or just give a few of your own useful tips. Create an infographic. Fact-filled, graphic posts get shared a lot on social networks. This infographic got more than 10,000 retweets. Report on a conference. Quote inspiring speakers or tell readers about the latest trends and ideas from the conference that you'll be implementing. Go behind the scenes. Give readers a photo or video tour of your plant, customer service desk or the backroom of your store. Explain how you do it. Do you have a special way you make your product, handle returns or welcome new customers? Describe your process. Staff profiles. Give a human face to your company by introducing new or seasoned employees. Show your charity work. If your business gives back to the community, post a video or photo essay of that park your staff cleaned up. Gush about your idols. Talk about the blogs you read regularly or the thought leaders who inspire you. Be sure to alert those bloggers and business gurus so they'll spread the word. Have a debate. Invite someone who disagrees with your views to do a "Point/Counterpoint" post. Talk about your blunders. Everyone loves to read about business failures. End your post by telling how you're fixing the problem. Create a regular feature. Do a "customer of the week" spotlight or create a monthly collection of the best online articles that match your customers' interests. Write a series. If you'd like to teach customers something complicated, break the topic into several parts. Series are an effective way to turn casual readers into subscribers. Make a prediction. Everybody wants to know what may happen in the future, so share your opinion. Conduct market research. Are you wondering which product name would attract more customers? Hold a virtual focus group on a blog post. Create a contest. Offer a prize for the most interesting customer suggestion or use of your product. Take a reader poll. SurveyMonkey makes this easy. Or you can simply set up a poll on your business Facebook page and draw readers to "like" your page. Share poll or contest results. Don't leave readers hanging; do a follow-up post to announce the results. Create an award. Giving a "best of" honor is guaranteed to get attention. Readers will want to check out who won, and all the finalists will likely share the news in social media. Share your customer feedback. If you use customer comment cards or do customer surveys, turn some highlights into a post. Reveal industry secrets or expose lies. When you promise to tell people what others won't, it's sure to be a hit. Tell the story of your origins. Everybody loves to read about other people's dreamsand challenges, so write about why and how you started your business. Share a highlight. What were the big milestones in your company's history? Tell about an important moment and how it changed your business. Keyword posts. Check your Google Analytics to see which keyword searches bring customers to your site. Then do posts on those topics. Read your competitors. If you're out of ideas, see what topics are drawing a crowd on your competitors' blogs and give your own take on those subjects. You can even link to your competitor's post. Readers will think that's cool. Display a sense of humor. Everyone loves business owners who can laugh at themselves when something goes wrong at the office. Consider giving a "how-to" post a funny spin. Show your passion. What aspect of your business gets you excited? What customer experience was especially gratifying? Tell those personal stories. Share your vision. If you're different from competitors because of your philosophy, talk about it. Informational, how-to. Is there more than one way to use your product or service? Describe one of the less common uses in a how-to post. Tips and tricks. Don't have time for a step-by-step how-to post? Give readers a few random suggestions for how to get more out of your product. Celebrity Q&A. An interview post can be quick and easy if you simply email questions to an expert of interest to your customers. If you have some dream interview subjects, go ahead and ask if they'll participate. You'll probably be surprised how many say yes. Be inspiring. Sometimes, customers would just like to feel good. Write about something you found inspiring in the course of your day or how you keep a positive work culture. Resource list. You could spotlight your vendors, companies you partner with, or a list of good books related to your business. How you got the idea for your product. This is an opportunity to credit team members and tell an interesting story about product development. A day in the life. Give customers an hour-by-hour account of a typical day at your company. Offer something special. Announce a party that gives your best customers a first look at a new product or create a giveaway just for blog subscribers. Round up the best of your blog. If you think some of your best stuff is buried in the archive, repost your 10 favorite posts from the past year. The key to a successful business blog is variety -- so mix it up with different types of posts. If every post is "Seven Ways to Use Our Product," it's going to get old fast. Having a smart mobile marketing strategy is an important part of building your personal brand online. Leveraging your social networks to their fullest potential is also important for visibility. Instagram is one of the most widely used networks today that can help build a larger audience and following online, making it a must-engage tool for brands. Posting relevant images, ads and videos that your audience will love is just one part of the success formula. 1. Choose the right username. Ensure that sure your brand name matches your other online properties as closely as possible such as your name or your branded company name. This will increase your chances of being seen and eliminates any confusion for your audience. A professional head shot or branded logo is also essential for recognition online. 2. Create outstanding visual content. In the midst of thousands of images and videos being posted each second on Instagram it is important to create professional photos and short videos that stand out to your audience. Depending on your niche people generally want to see what’s going on in your world, what products or services you’re working on, how to do something or look a certain way, the best places to travel, ect. Avoid keeping your brand from being banned or blocked by knowing the rules of Instagram. Because the social network is subject to spam they have strict policies in place that need to be followed in order to preserve your brand’s reputation online. This includes purchasing followers or making too many promotional posts. Social media is all about conversation, and today you can “sell” to your audience with posts that are promoted yet look similar to your regular posts. Many brands are getting more followers and engagement from these ads, which can be either an image or video. In today’s mobile world Instagram is a top tool to use to bring more visibility to your personal brand as well as a place where people can be directed to your website and other online properties. There are many tools and apps available to help you create and schedule your content, most of which are free to use as well as a direct connection to Facebook for their advertising program. Make your own radio station from the comfort of your home! Get people to listen to your talk radio/music show that you started from your home. It is easy to set up and get on air all you need is a stream to do this and i will show you how. If you like talking on a topic or djing then you need a radio station so people can hear your program. 1.A Stream License to broadcast your station live. 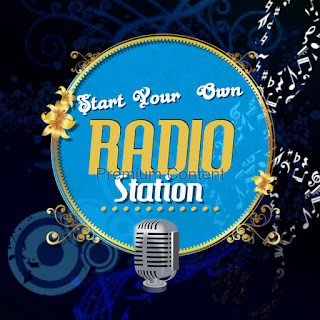 2.Get a broadcaster for your station so people can hear music or talk show. 3.You also need a license to play other people music. 4. Now you need a converter to make your music into mp3 playable here is the link. on it as well. With your autodj that come with your station that is a 24/7 player that let people hear what is playing on your radio everyday. What do Apple Computer, Hershey's, Mary Kay Cosmetics, and the Ford Motor Company have in common? These well-known corporations all started out as home-based businesses. In fact, more than half of all U.S. businesses are based out of an owner's home. Starting a home-based business has many rewards as well as challenges. This guide provides resources that will help you learn more about working out of your house, starting a home-based business and managing your business within the law. Can you live and work in the same area? Find the answer by asking yourself the following questions: Where in the home will the business be located? What adjustments to living arrangements will be required? What will be the cost of changes? How will your family react? What will the neighbors think? Home-Based Business....Is it For Me? Is working from home right for you? Learn about several factors you should consider when starting a home-based business. Starting a Business in Your Home: Weighing the Pros and Cons. Have you thought about the characteristics and challenges that are most commonly involved in launching home-based businesses? View the pros and cons before you begin a home-based business. If you have decided you are ready to start a home-based business, then you might already have an idea and/or the products you want to market. If not, think about your background, what you are good at, and what experience you have. This exploration can get you on your way to coming up with a sound idea. For additional guidance on how to start your business, use the resources listed below. Learn how your local government's zoning ordinances may affect your business. Not knowing the potential legal and community problems associated with having a business at home, and the rules, can have devastating consequences. Home based franchises are becoming more common, but buyer beware! Some "work at home" franchise opportunities are schemes to get your money. Visit the Consumer Guide to Buying a Franchise for more information about evaluating and buying into franchises and related work-at-home business opportunities. Federal agencies do not provide grants for starting a home-based business. However, there are a number of low-interest loan programs that help individuals obtain startup financing. Visit the Loans and Grants Search Tool to get a full list of grant, loan and venture capital programs for which you might qualify. There are several ways to market your business and get in touch with your customers. Customers are a key component to businesses success. Learn how to successfully market your home-based business: Home-Based Business - Market Your Product . Doing your personal taxes can be a pain, but now you have to do the taxes for your home-based business as well. Use the resources below to learn how to correctly file your small business taxes and get the proper deductions. Provides access to the official IRS gateway for tax information for small business owners. Explains how to deduct business expenses on your income taxes. Covers how to report your earnings since you are self-employed. Establishing a business presence on the Internet can be a lucrative way to sell, market, and advertise your business’s goods and services. 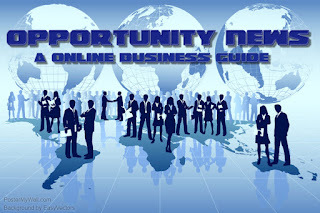 The following topics provide details on how to start and manage an online business. Regardless of where you choose to operate your business, certain general requirements always apply. Before you can begin completing specific online business steps you must follow the basic rules for starting a business. Use these tools and resources to help take you from preparing your business plan and to becoming a successful business owner. A domain name is the web address of your online business. Choosing and registering a domain name is the first step to starting an online business. After you've chosen the name you'd like to register, the process is simple and cost-friendly. Where to register your name is up to the discretion of individual businesses. Be careful to avoid possible security risks by becoming aware of potential scams. The Federal Trade Commission issued a consumer alert about Domain Name Registration Scams. The Internet Corporation for Assigned Names and Numbers is the non-profit corporation that has technical oversight of Internet protocol address space allocation, protocol parameter assignment, domain name system management, and root server system management functions. It provides current news on issues surrounding domain names. A web host provides you with the space and support to create your website. Choosing the host that best suits a business is up to the discretion of that business. Costs and abilities, such as site maintenance, search registration, and site development, vary from host to host but it is important for it to be both reliable and secure. The website of your online business is extremely important to its success. Because you don't have a physical location, this is considered your "store front". Websites can be designed personally, by hiring someone to work as your site designer, or by using an independent design firm. Be sure to comply with U.S. trademark and intellectual property laws. The same laws and regulations apply to online businesses as regular businesses. Search for trademarks currently in use to avoid infringing on another company's rights on your website. Similar to the traditional market place, online businesses cannot be successful without customers. For online businesses, these customers come in the form of site visitors or viewers. Generating the highest amount of traffic possible on your website will create the highest chance that those visitors will become customers. Register with search engines and use keywords that will drive the most traffic to your site. Advertising and marketing on the internet is regulated very similarly to the real world, and many of the same rules apply. The Federal Trade Commission has created several guides to help online businesses comply with these regulations. For additional information, visit our guide to Online Advertising Law. Online businesses must comply with special laws and regulations that apply only to them. A lawyer that specializes in internet law can assist businesses with all aspects of starting and operating an online business. Contact an expert at the Federal Trade Commission for more information. In addition to Federal requirements, businesses must know and comply with state and local laws and regulations. Select your state, county, and city to determine what's required of your online business. Online business are required to follow the same federal, state, and local tax laws as regular businesses. If you are operating your online business in a state that charges a sales tax; or levies a gross receipts or excise tax on businesses you may have to apply for a tax permit or otherwise register with your state revenue agency. Online businesses are responsible for collecting state and local sales taxes from their customers when applicable, and paying these taxes to state and local revenue agencies. Operating internationally requires many additional considerations from finding overseas markets and suppliers to shipping and tax regulations. Follow international trade laws for online business to be sure you are in compliance with all regulations. These guides provide additional information relevant to starting and operating an online business. Resources for business owners who are starting or operating a business through self-employment. Resources for online businesses that are based at home.